A short steep climb in Central London. 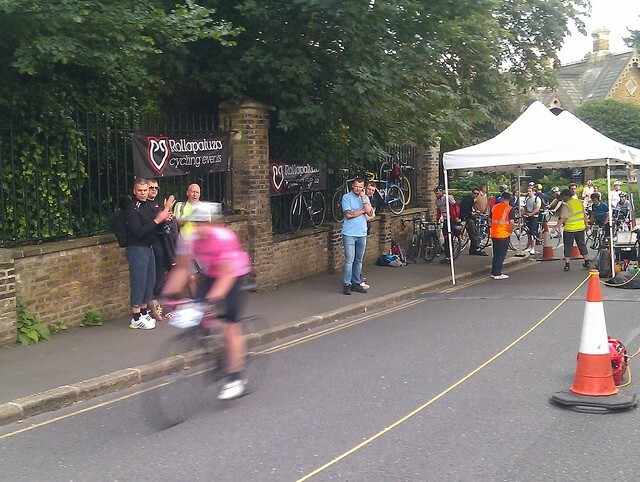 Swain’s lane has also featured in the Rollapaluza Urban Hill climb. A quick ascent of Swain’s Lane might be done in 1.30. A short film from Wodehouse and Gorilla Face documenting Mat Ilic’s attempt to ‘Everest’ Swain’s Lane in North London. Everesting Swain’s ‘The Ascent’ from Wodehouse Films on Vimeo. Well done because it is hard especially with a steep gradient. But, all that effort without actually claiming the hill? I would find no satisfaction in saying, ‘ at least I beat the other guy’s time’. Champagne, for that! There are so many hills near London it takes less than a minute to think of at least ten worthy of the challenge!